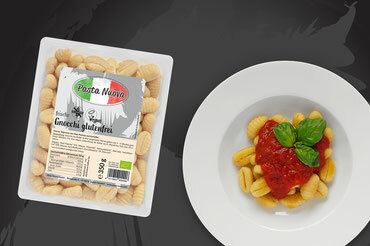 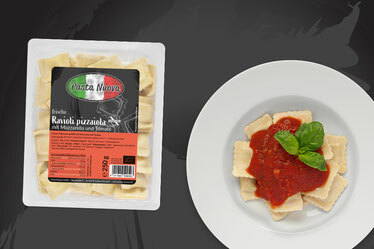 Our product range currently includes 19 types of fresh pasta, such as tortelloni, ravioli and several gnocchi varieties. 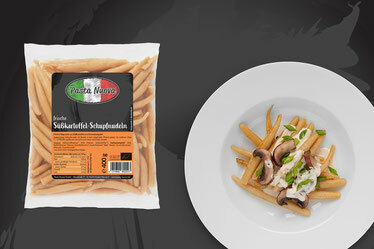 As a purely vegetarian company, we do not process any meat nor fish. 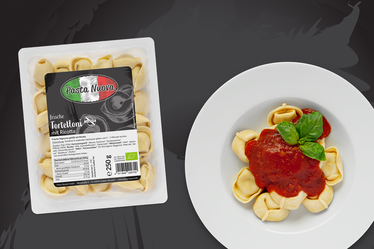 Customers who like to avoid ingredients of animal origin will find many vegan products in our range. For those who prefer a gluten-free diet, we offer gluten-free gnocchi, which are of course separately produced.